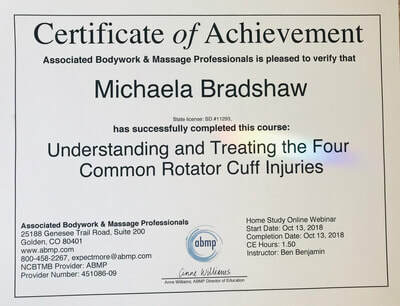 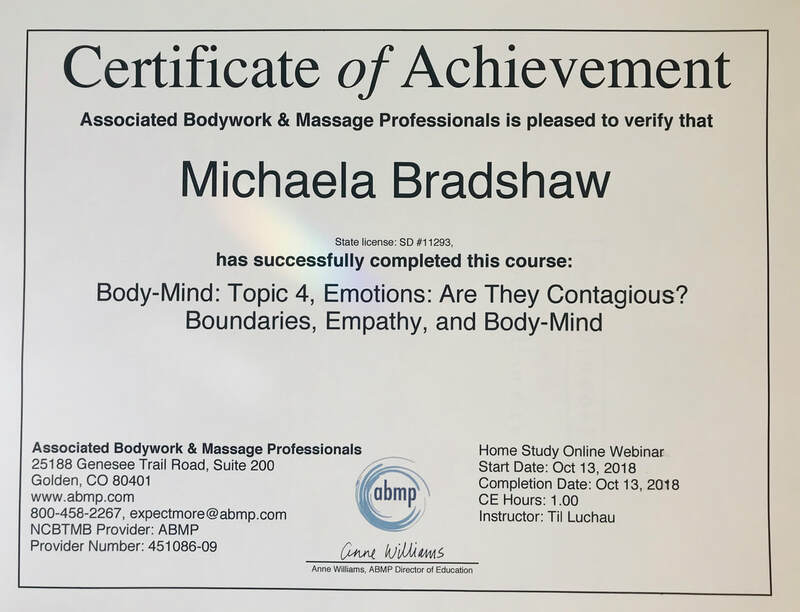 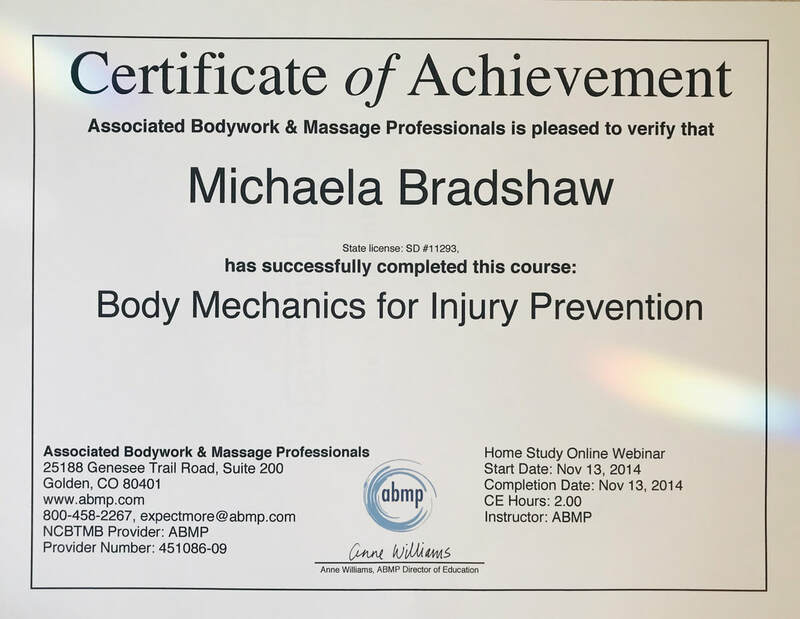 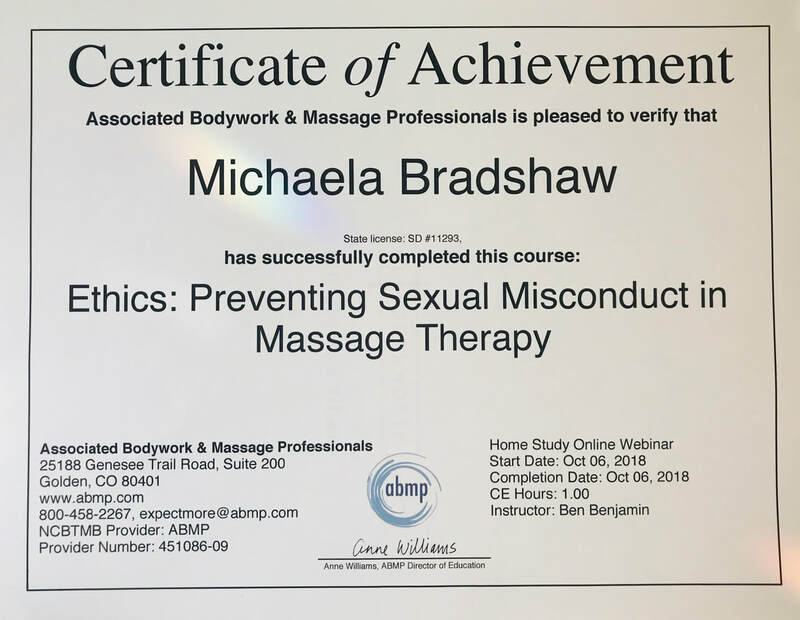 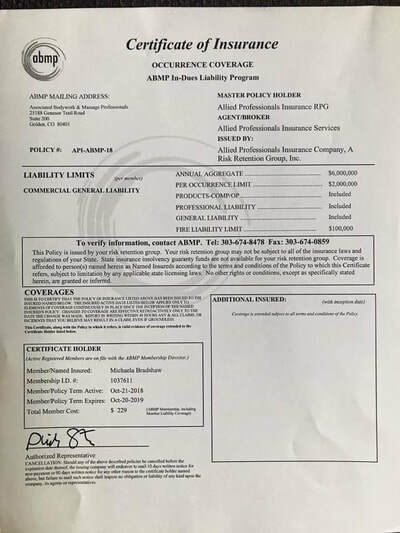 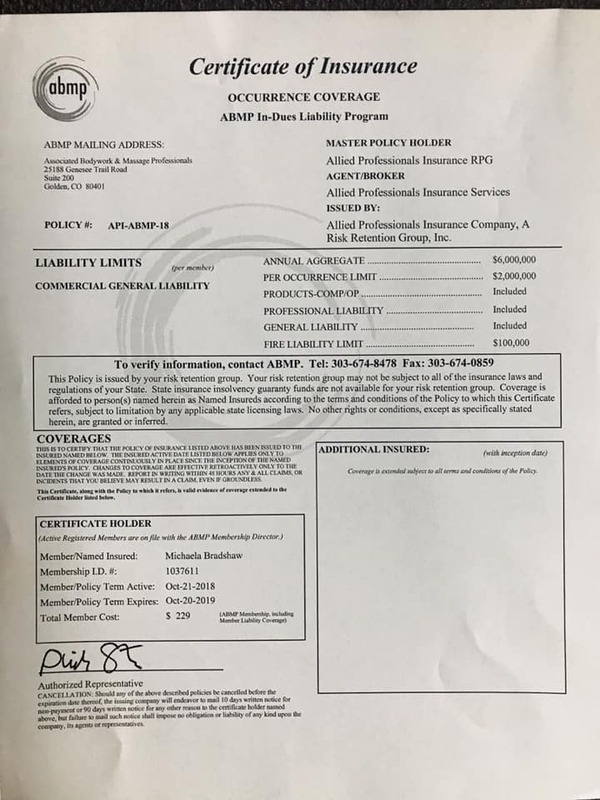 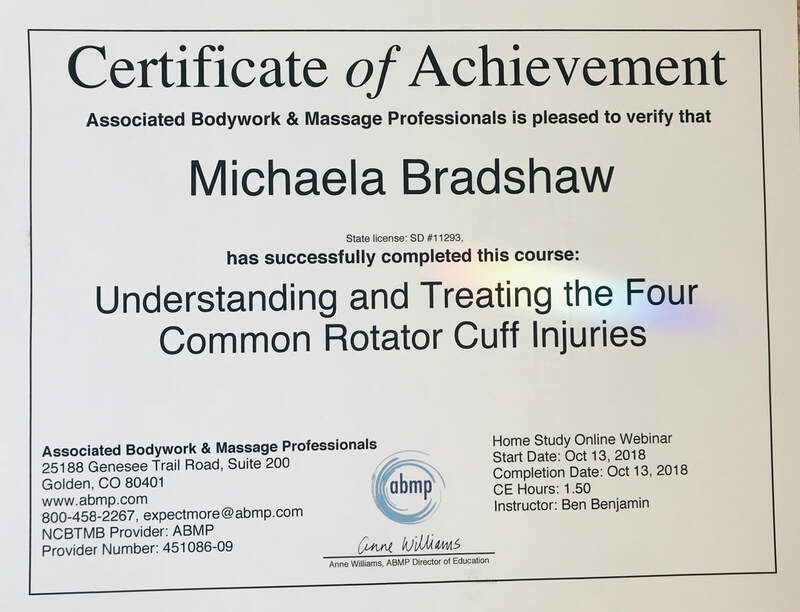 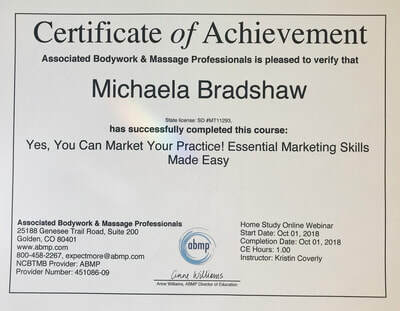 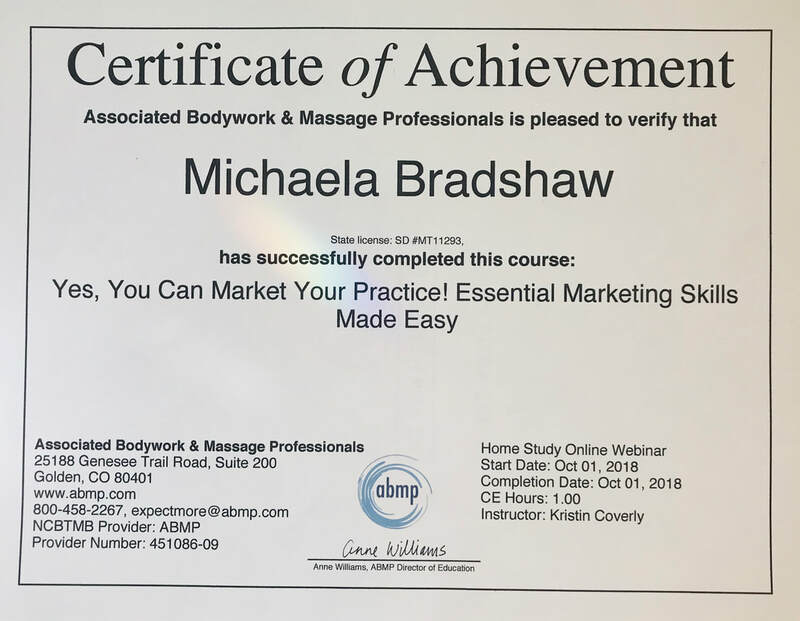 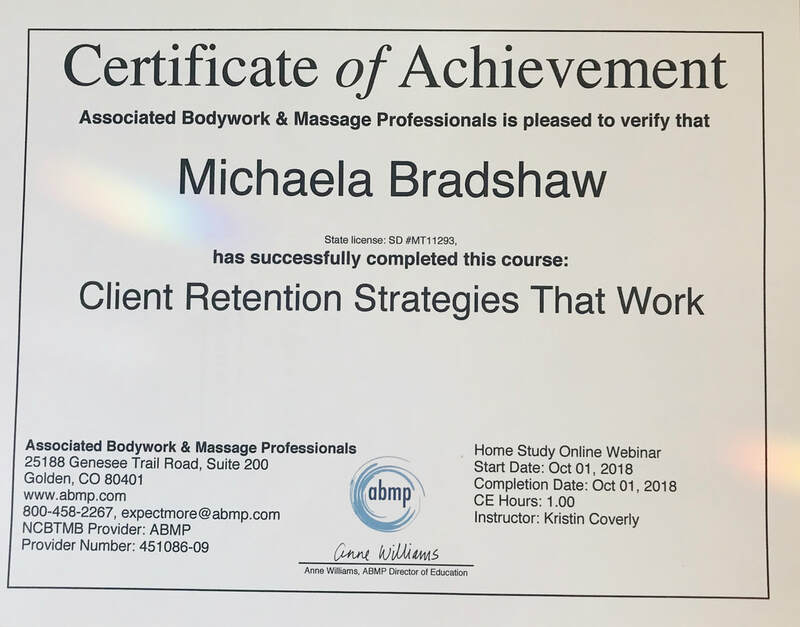 To be licensed as a massage therapist, its required to have at least 500 hours of specific education and training from a board recognized facility or instructor. 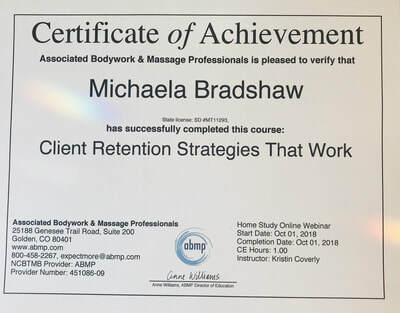 *One hundred twenty-five hours of additional training in an area or related field that theoretically completes a massage program of study. 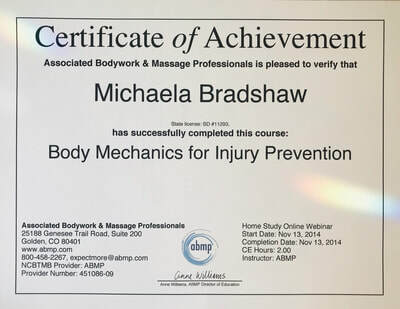 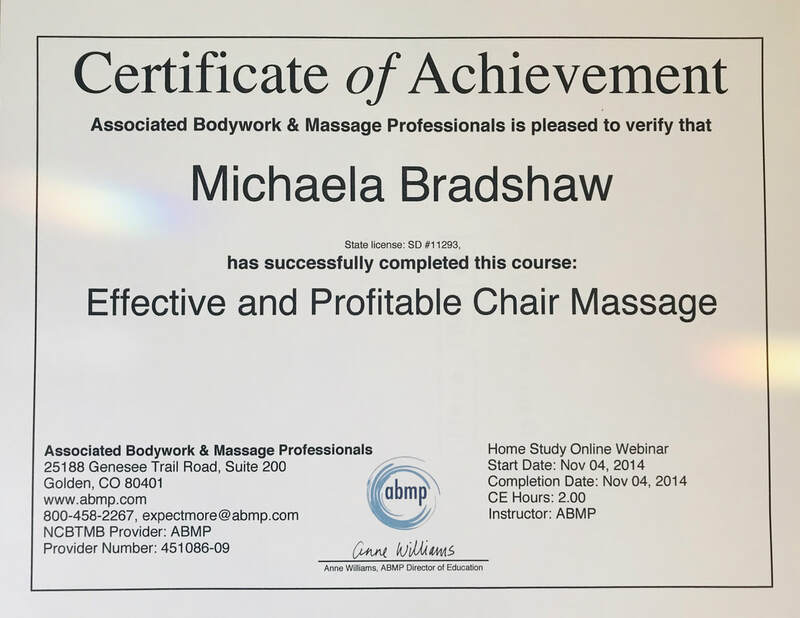 I earned 750 hours of massage therapy education training, and passed my final exit exams. 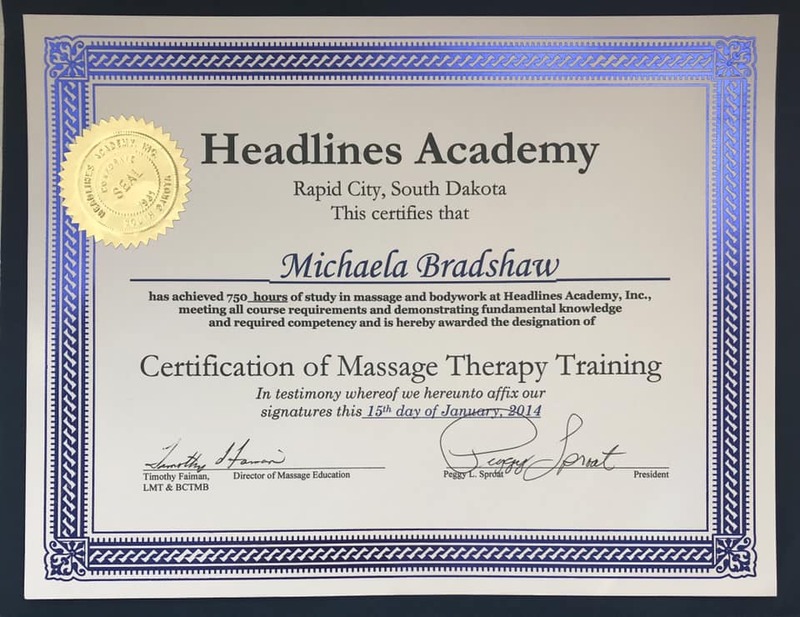 I took my boards exam after 7 months of study for massage therapy at Headlines Academy (a program designed to compact and integrate an AAS degree into an accelerated program) every aspiring massage therapist is required to complete 500 hours in training in the state of SD. 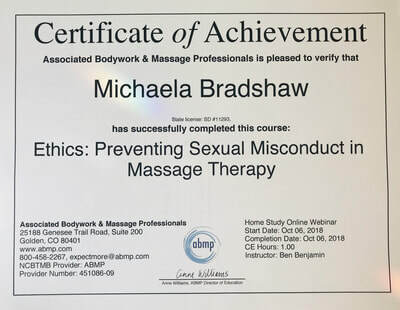 This time spent studying body systems, anatomy, physiology, kinesiology, pathology, massage bodywork assessing + application, professional massage standards, ethics in massage, and business and legal practices in massage... prepares us to take the entry-level massage therapist exam (called the MBLEx or the alternative NCETM) administered by the Federation of State Massage Therapy Boards. After my required training, I took my massage board exam on January 4th, 2014 to legitimize my self as a Professional Licensed Massage Therapist in the state of SD. 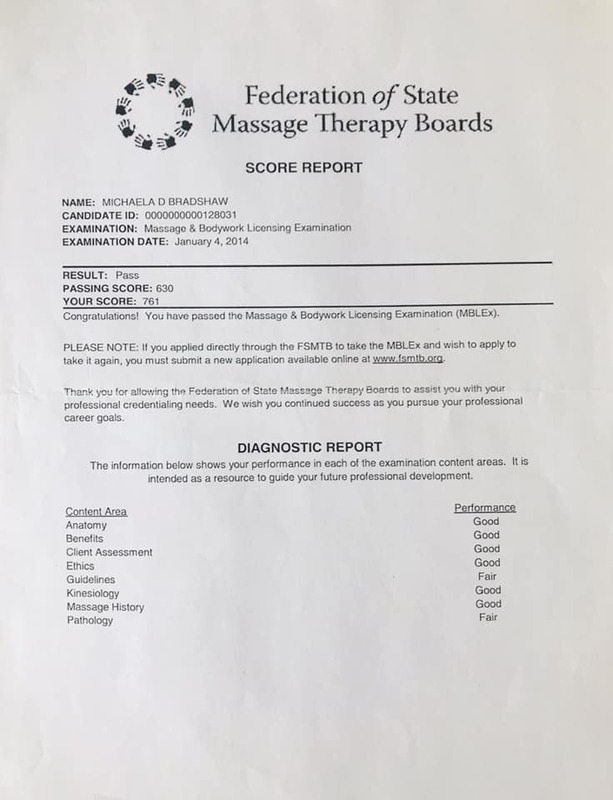 I scored 761 out of 900. 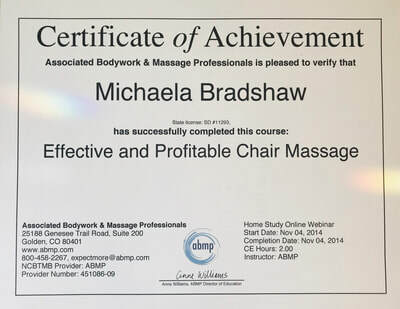 Which equates to about an 85%. 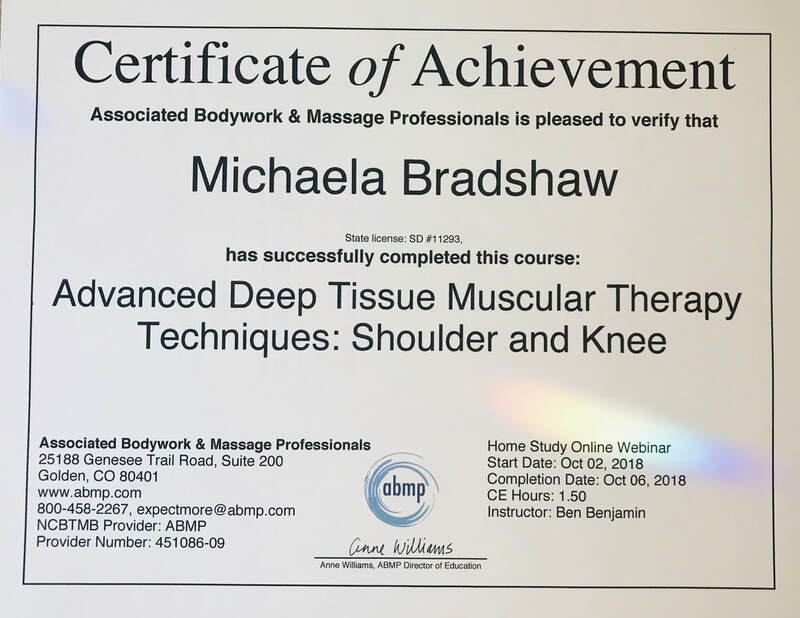 The BCTMB exam is an Advanced Placement Exam + the NCETMB exam includes complimentary alternative medicine and is different in that it requires us to know CAM assessment, application, and diagnostic tools used in ayurvedic and acupuncture/acupressure treatments. 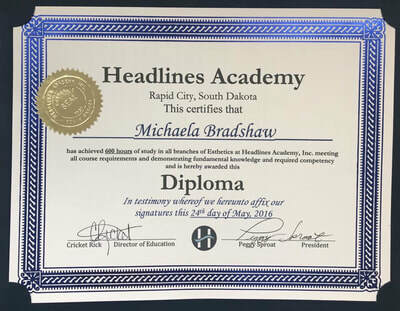 I received my diploma on January 15, 2014. 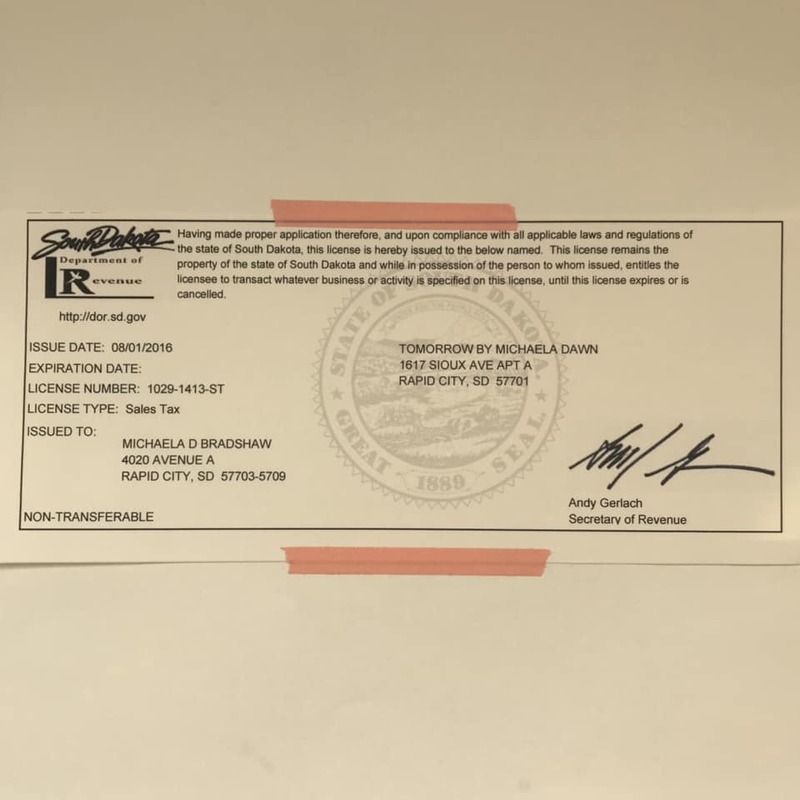 I received my Massage Therapy License: legitimizing me to practice massage therapy in the state of SD, issued by South Dakota Department of Health Board of Massage Therapy on March 21, 2014. 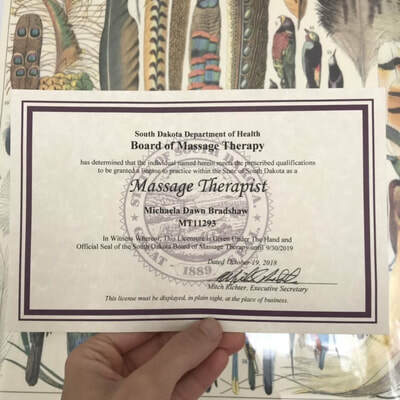 I renew my license annually in order to legally practice massage in the state of South Dakota. 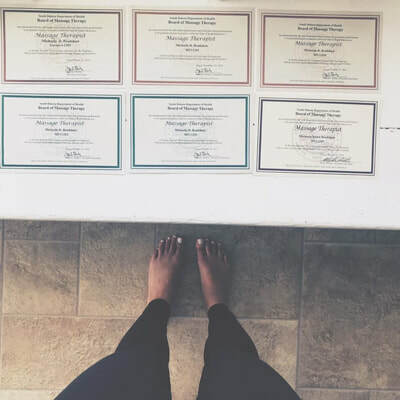 The work of an Esthetician involves applying treatments and performing procedures to the skin as a way to maintain its health and vitality, improve its overall appearance, and combat the effects of sun exposure and aging. 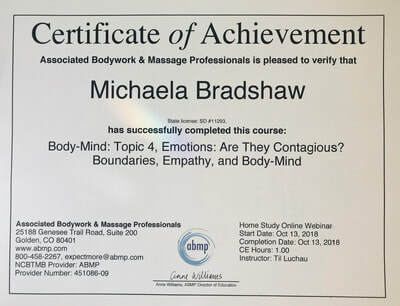 Estheticians are trained in skin wellness, most often helping their clients combat complexion problems through a number of therapies and practices. 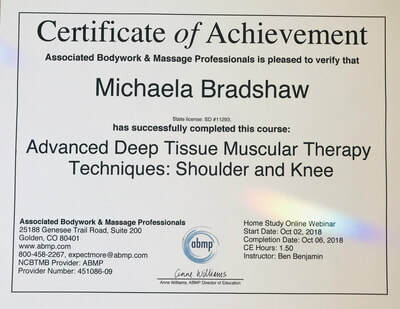 In addition to engaging in therapies that are designed to improve the tone, texture, color, and youthfulness of the skin of the face and neck, Estheticians perform a wide range of body therapies, as well, such as salt or sugar scrubs, body wraps, hair removal, eyelash extension, microdermabrasion treatments, LED therapy, galvanic + high-frequency therapy, chemical peels, aromatherapy, and more. 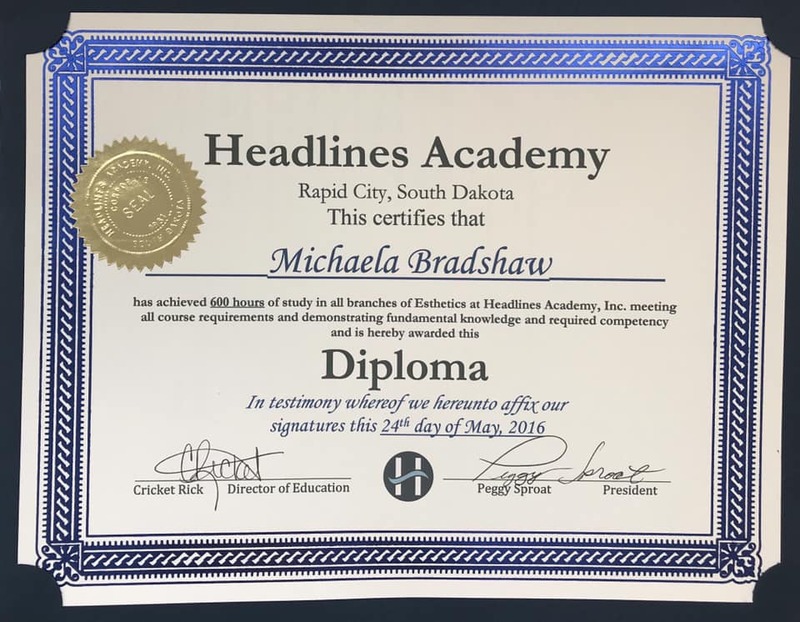 To become certified and licensed as an Esthetician in South Dakota, I attended an approved Esthetics program at Headlines Academy and acquired 600 hours in training, passed the programs final exit exam, and passed the state licensing exam. Every aspiring Esthetician must pass their licencing exams and have proof of 600 hours of training to work as an esthetican in the state of South Dakota. 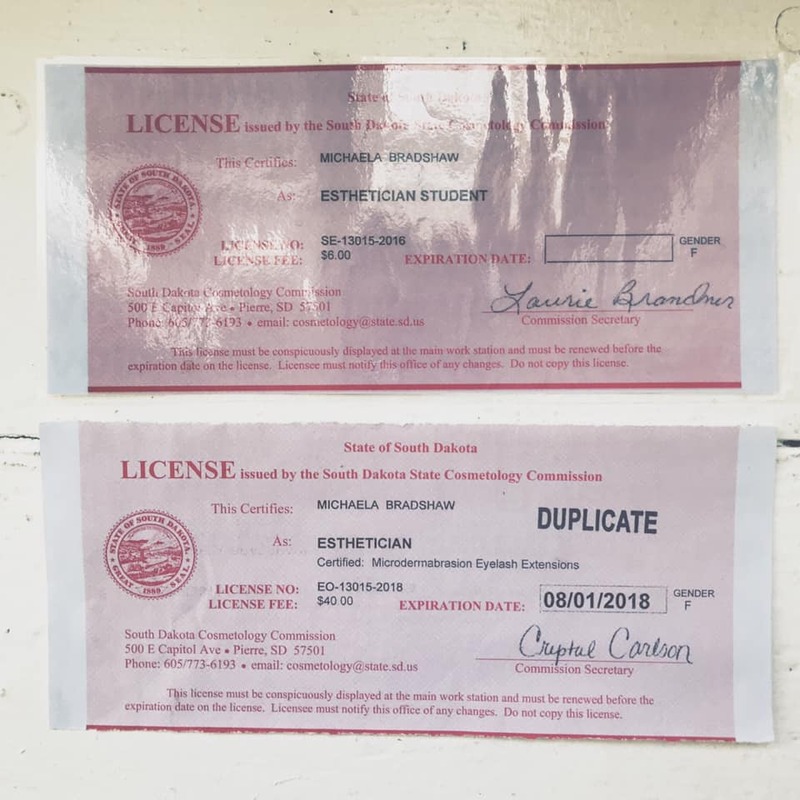 All licensing goes through the South Dakota Cosmetology Commission. I received my Diploma from Headlines Academy + Esthetician license on May 24th, 2016. ​I renew my license annually in order to maintain and legally practice Esthetics. 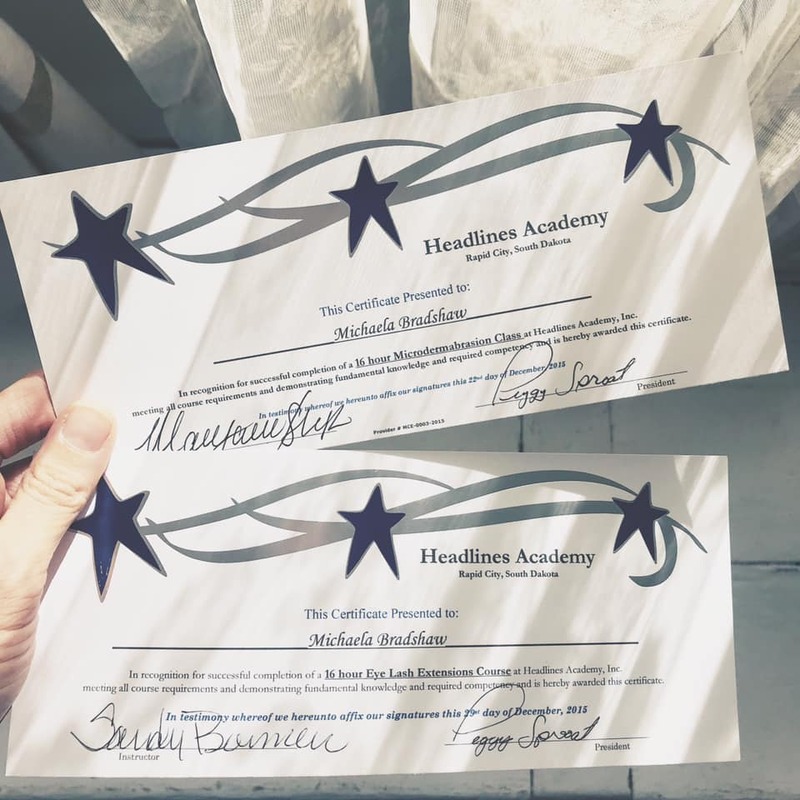 CONTINUING EDUCATION Requirements for Estheticians may be optional and be taken for career growth, or they may be a requirement as part of state licensing laws. 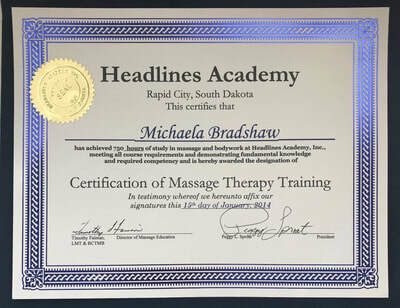 South Dakota doesn't mandate continuing education in order to retain an Esthetician license.